The Christian Girl’s Guide to Friendship was inspired by my daughter. I wrote it during her middle school years, when she was working through some of the struggles preteen and early-teen girls face with making friends and learning to be a good friend. During my growing up years, I didn’t have a guide to friendship that was rooted in the Bible. And I wished I’d had one. But now, I could put down on paper all the things my daughter and I talked about – and some of the things I had worked through – and other girls could benefit, too. There’s lots of drama with preteens, which meant there was plenty of content to write about. The topic was so timely in our household that I finished the manuscript in 3 months, even as a working mom with a husband who was traveling for work most of the time. I knew if the book was fun, girls would be more apt to read it. That’s why I presented each biblical principle about friendship in a magazine-style format: as a Q & A, a journal entry, a story, a quiz. There are short, practical devotionals, fill-in-the-blanks, and prayers that girls can use to apply the principle to their lives. Each section includes a fun craft, game, or activity. Evidently the approach worked because the book has sold more than 50,000 copies. 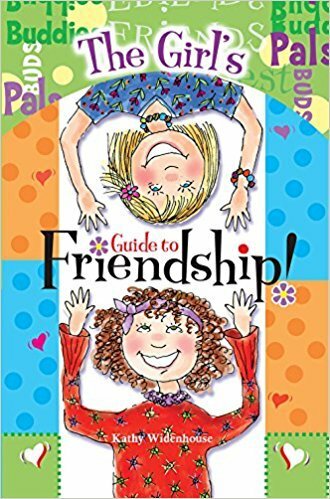 I included a whole chapter showing girls how to have a friendship with their A.B.F.F. (Absolute Best Friend Forever) – Jesus. The Christian Girl’s Guide to Friendship was first published by Legacy Press, a publishing house which was later purchased by Rose Publishing. The book was re-released under the RoseKidz imprint in 2016. It’s part of The Girl’s Guide Series that teaches girls how to connect with God in Bible-based, fun, interactive and practical ways. The Girl’s Guide Series can be used by clubs, small groups, classes, or individual girls. Learn more about the Christian Girl's Guide to Friendship.